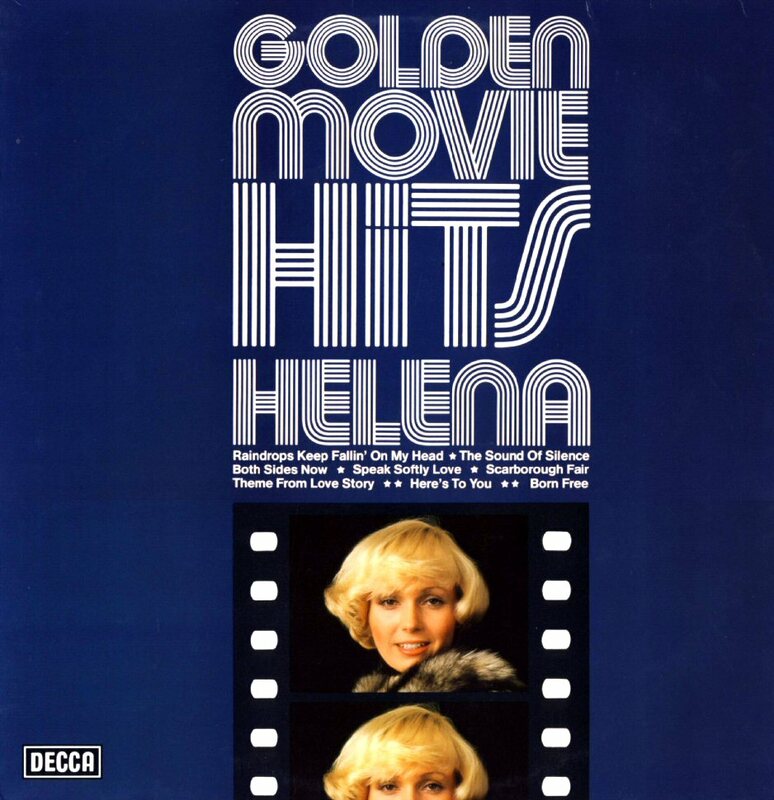 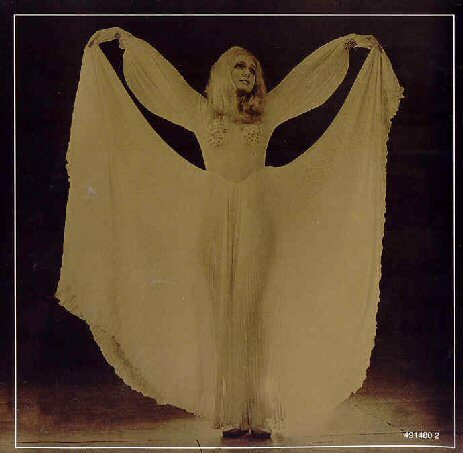 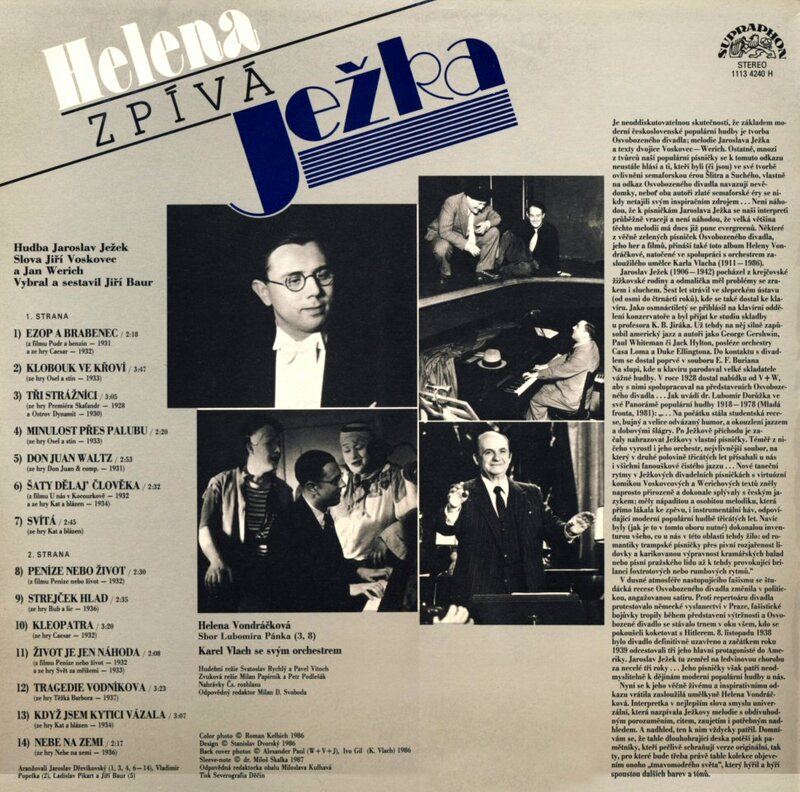 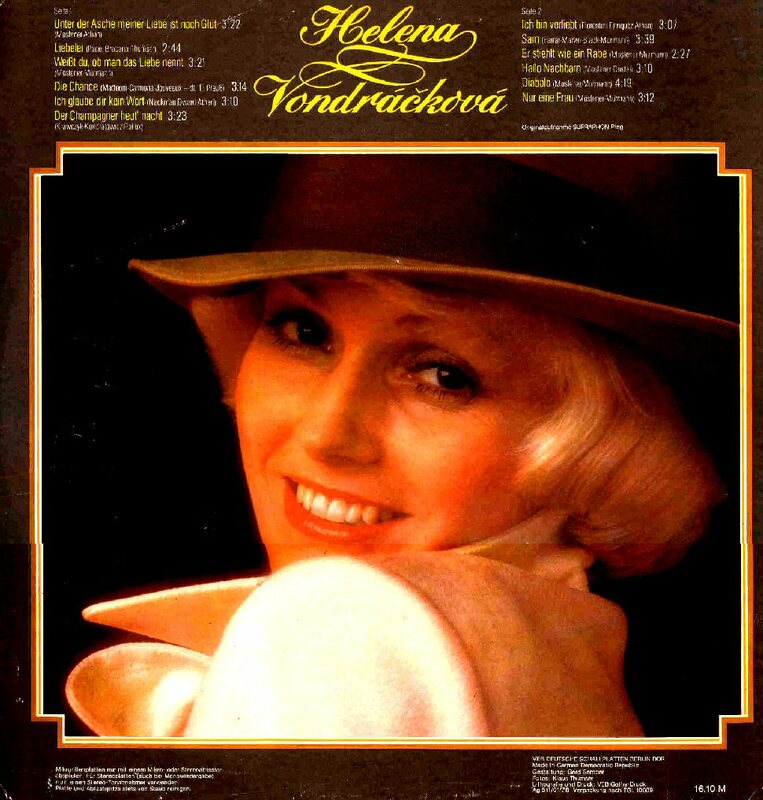 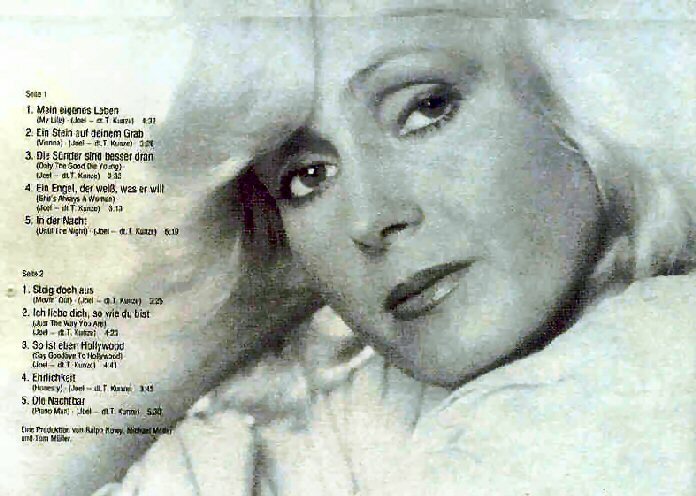 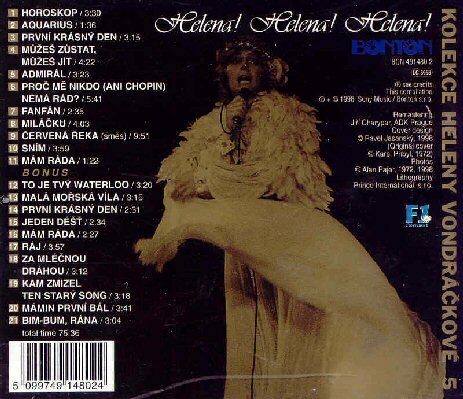 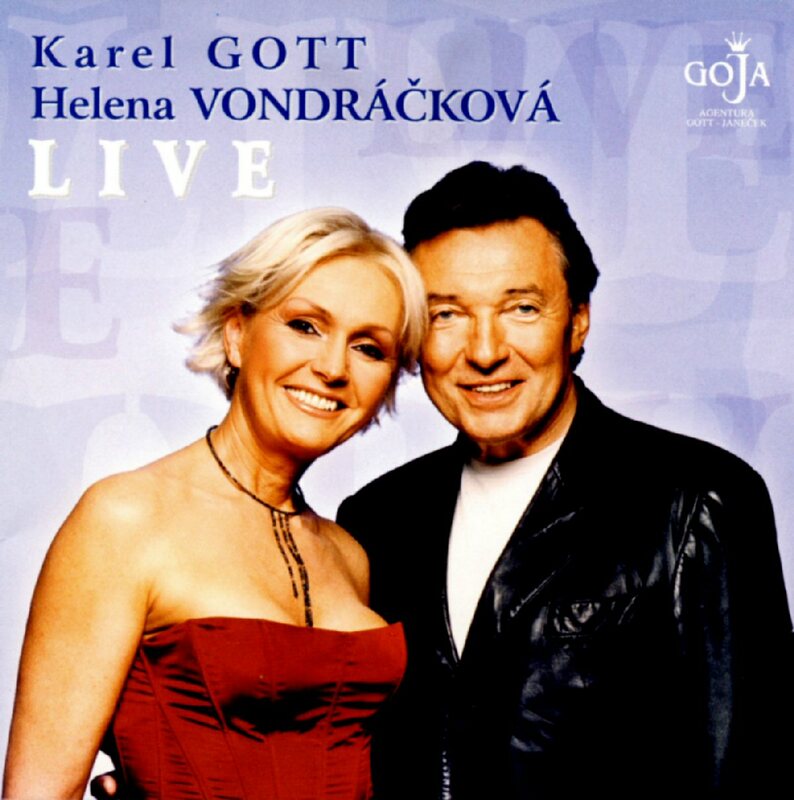 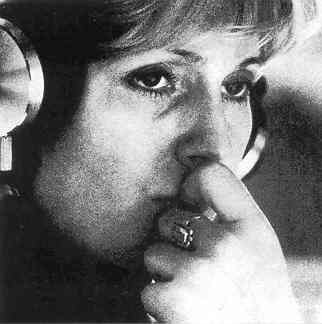 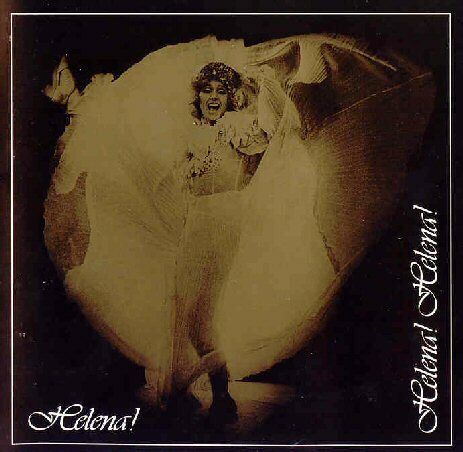 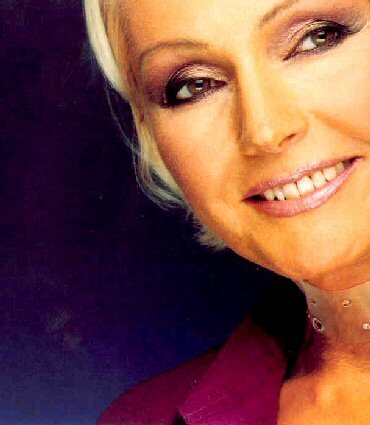 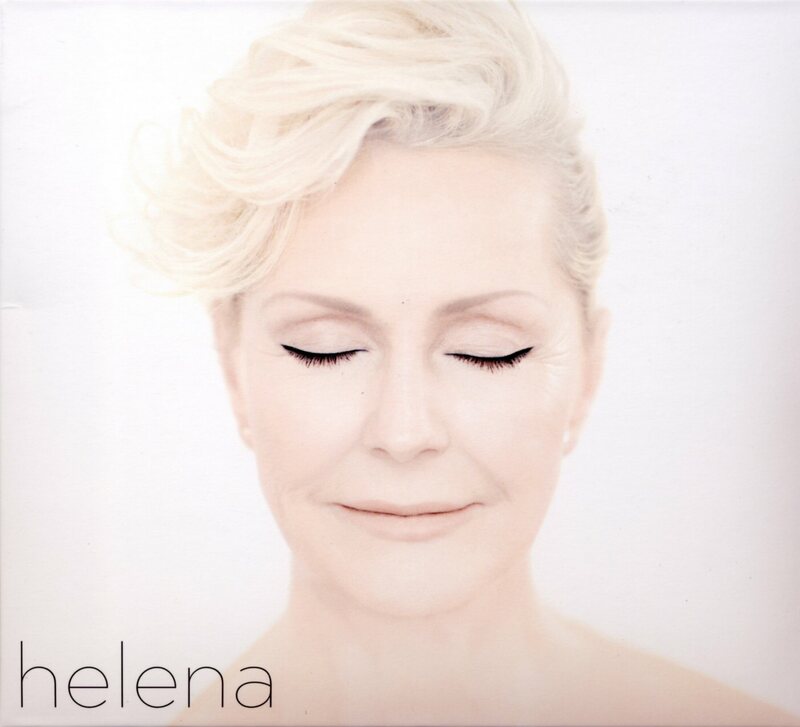 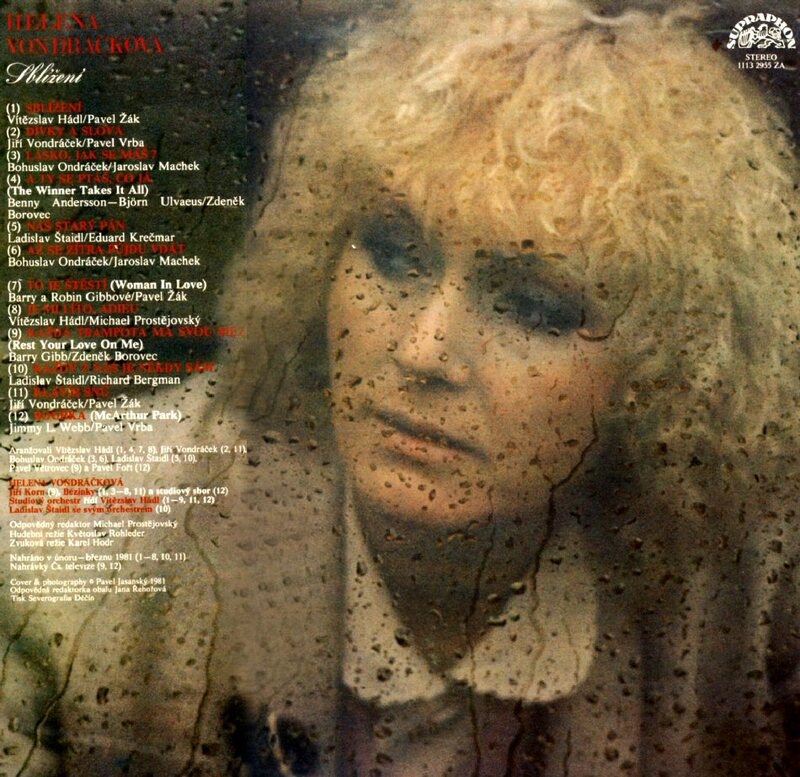 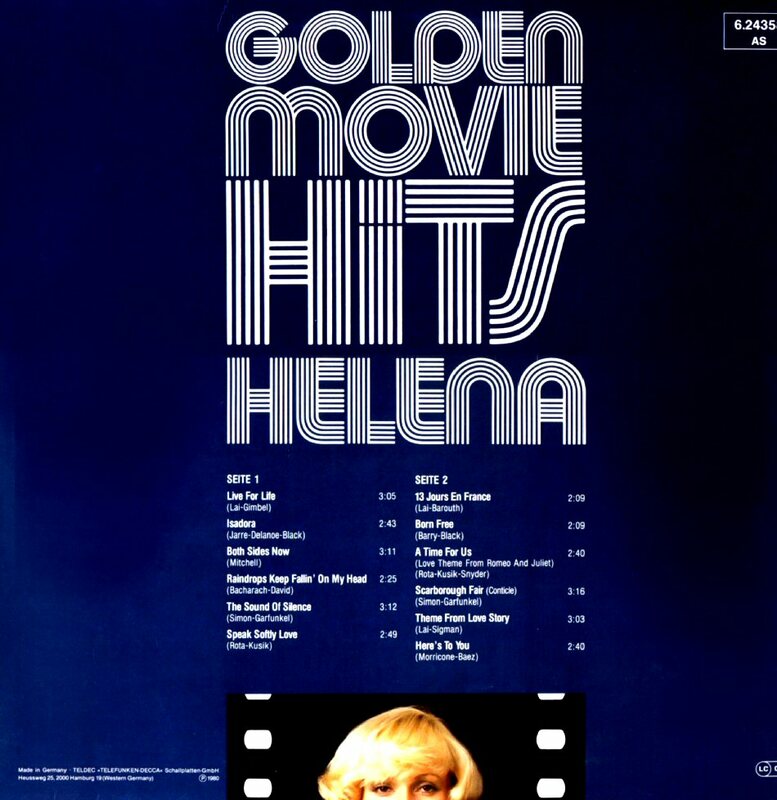 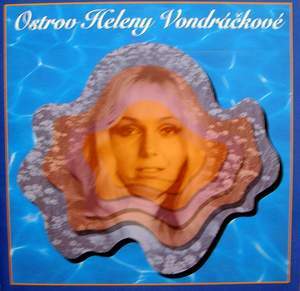 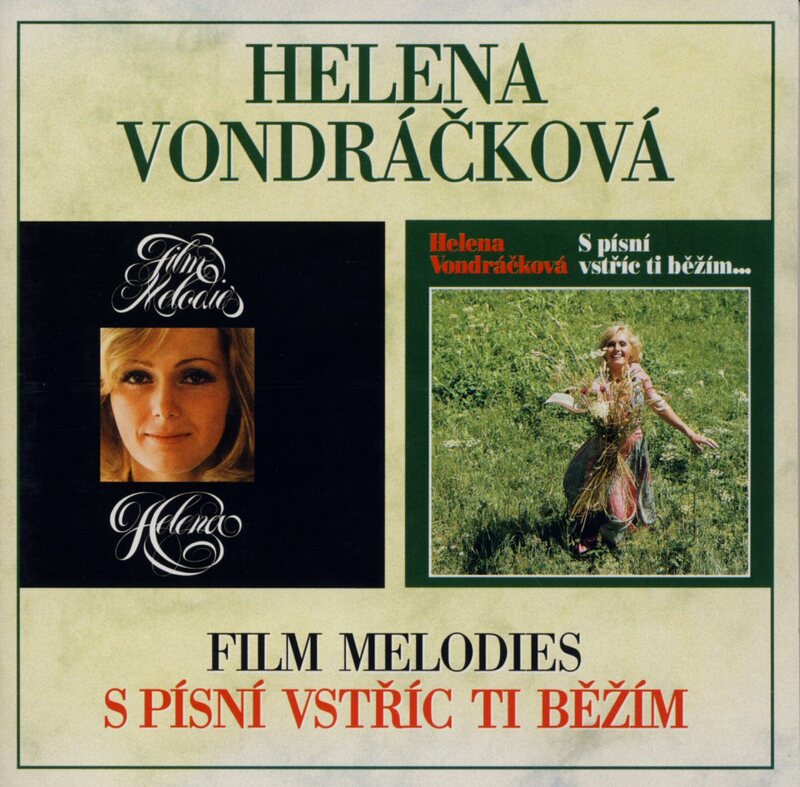 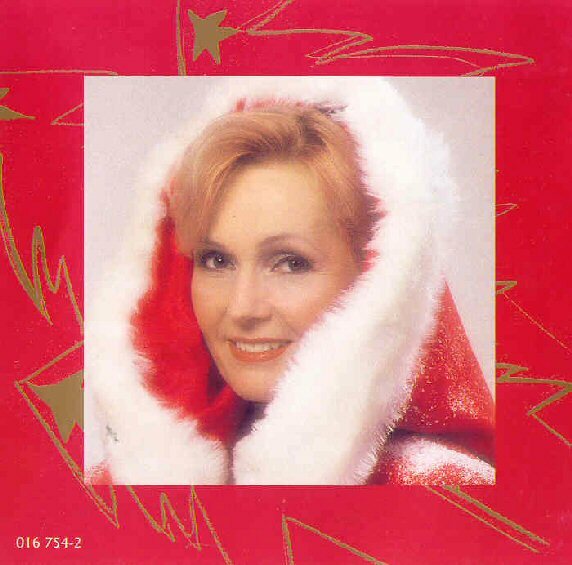 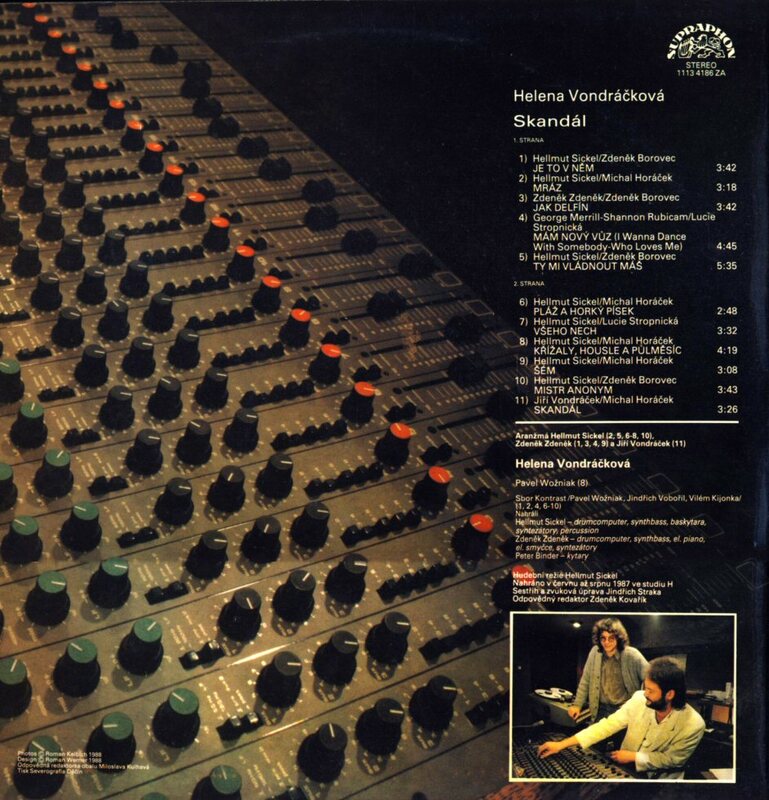 All songs recorded by Helena under this period of time were released on singles and compilation albums. 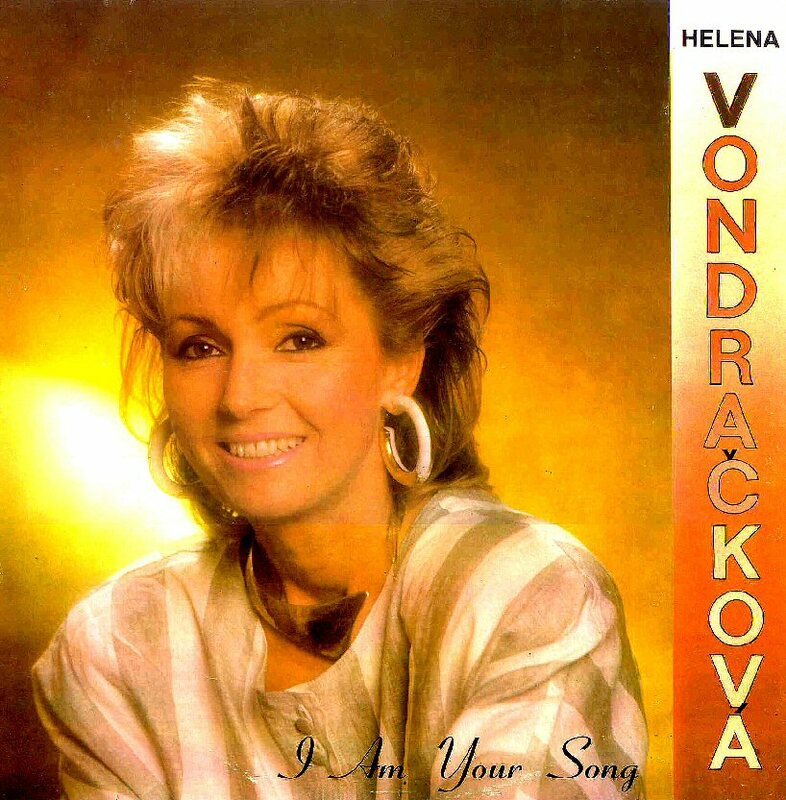 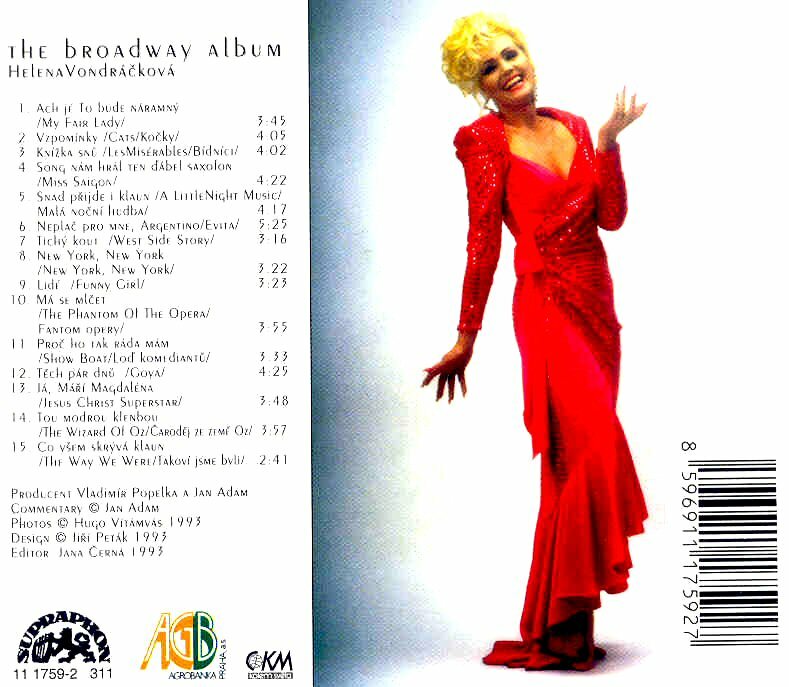 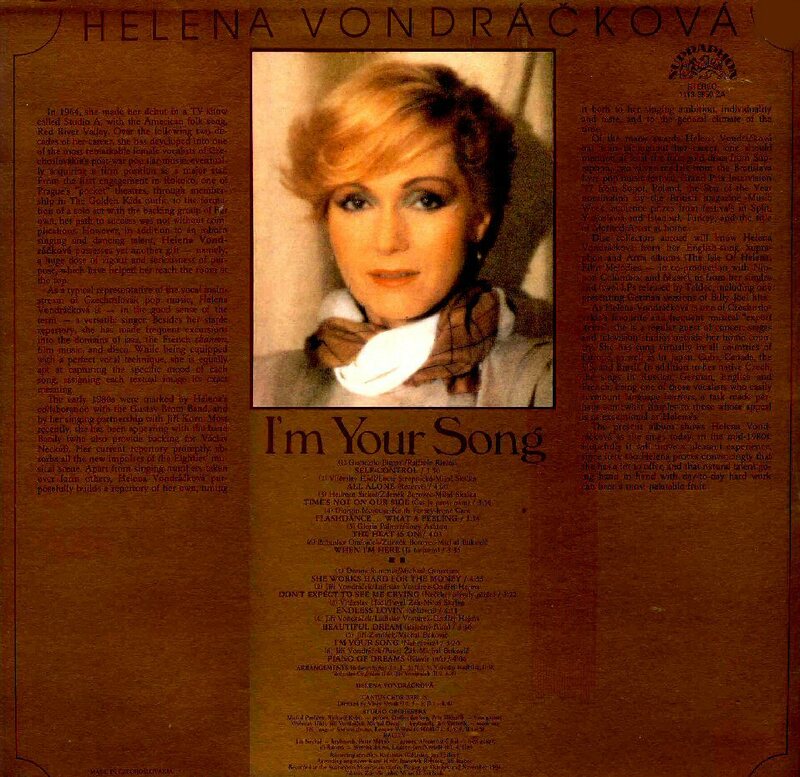 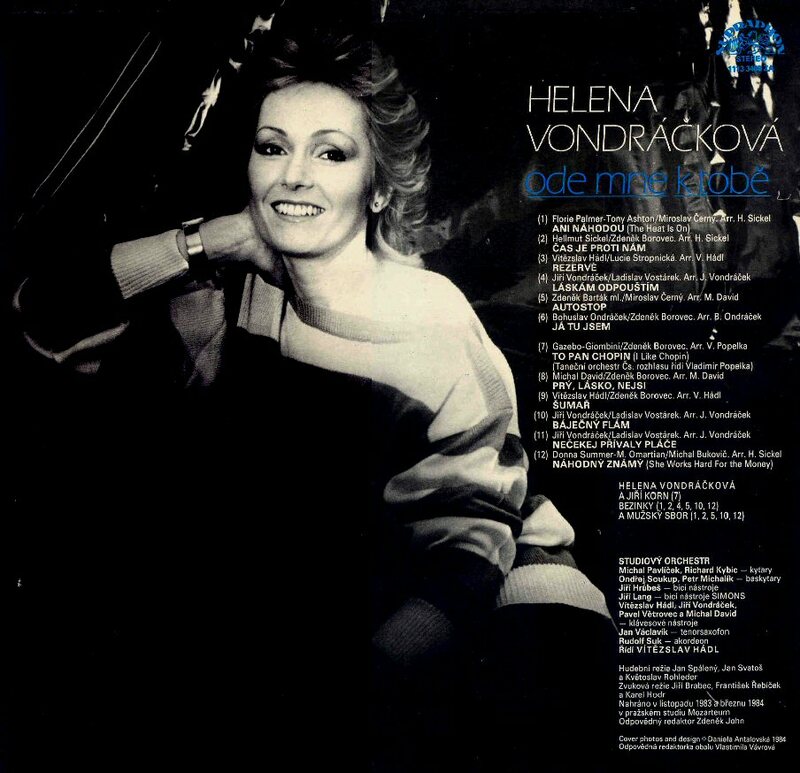 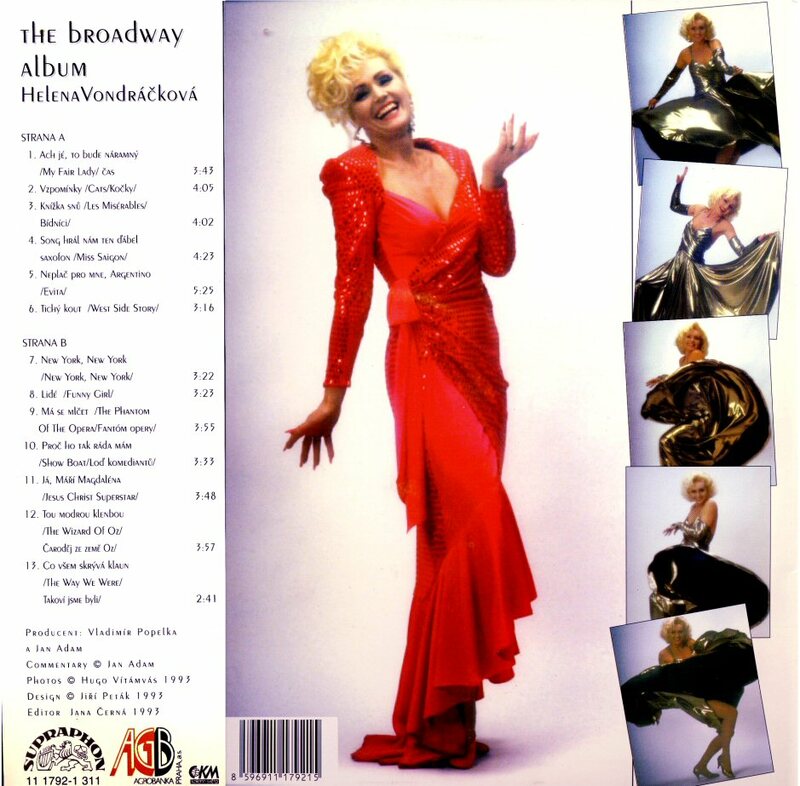 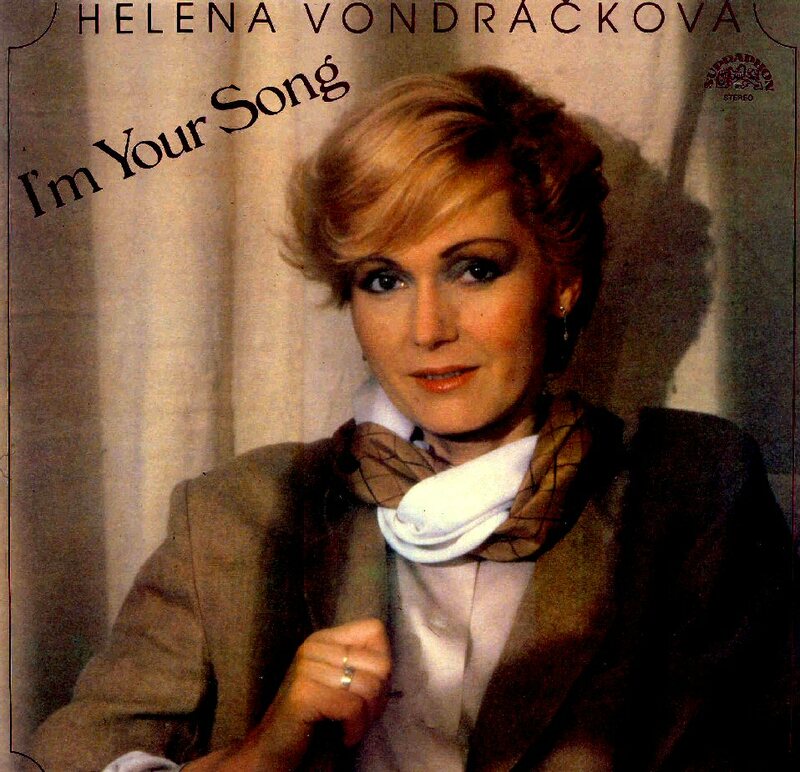 In the 1990s all stuff was re-released on CD in the series "Helena Vondrackova - the Collection". 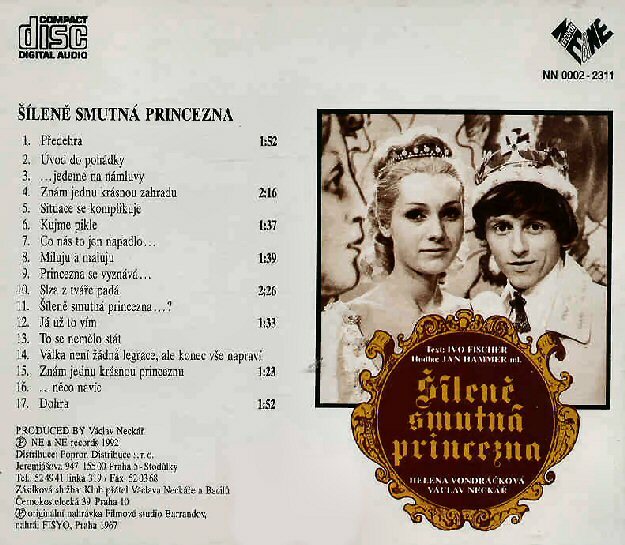 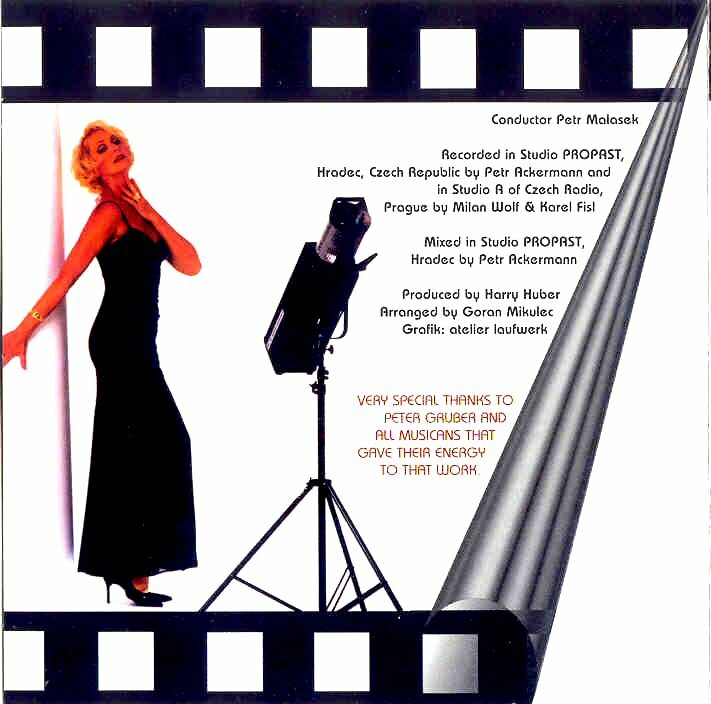 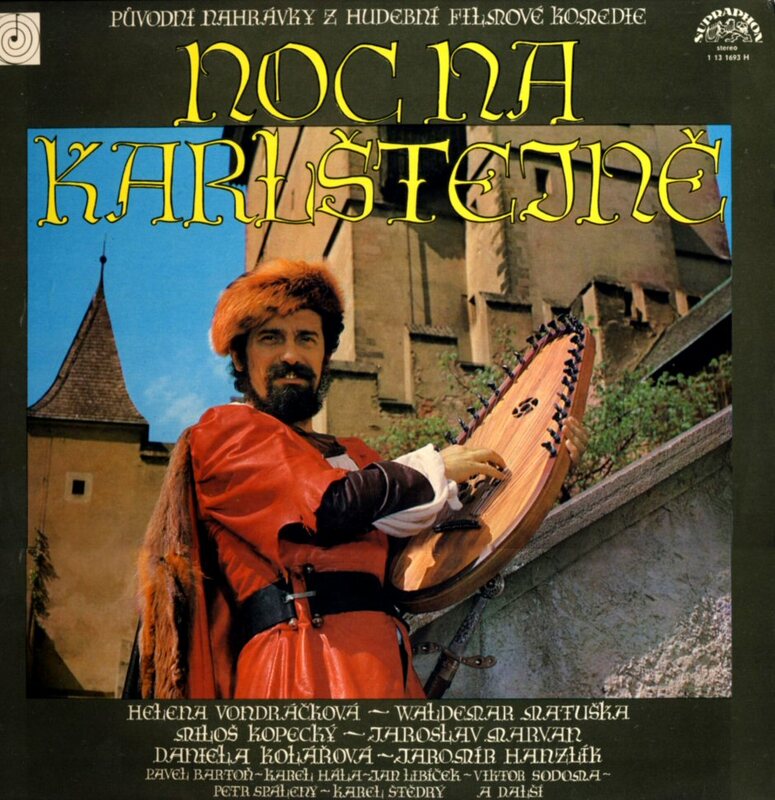 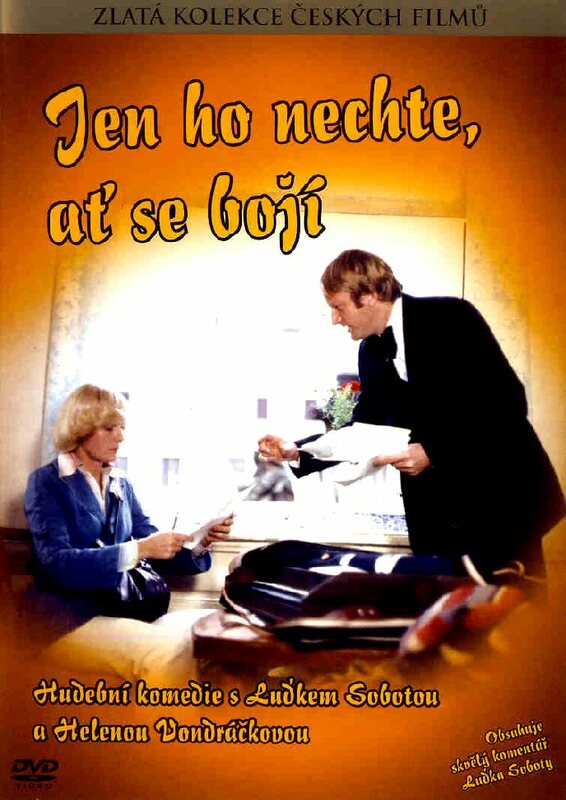 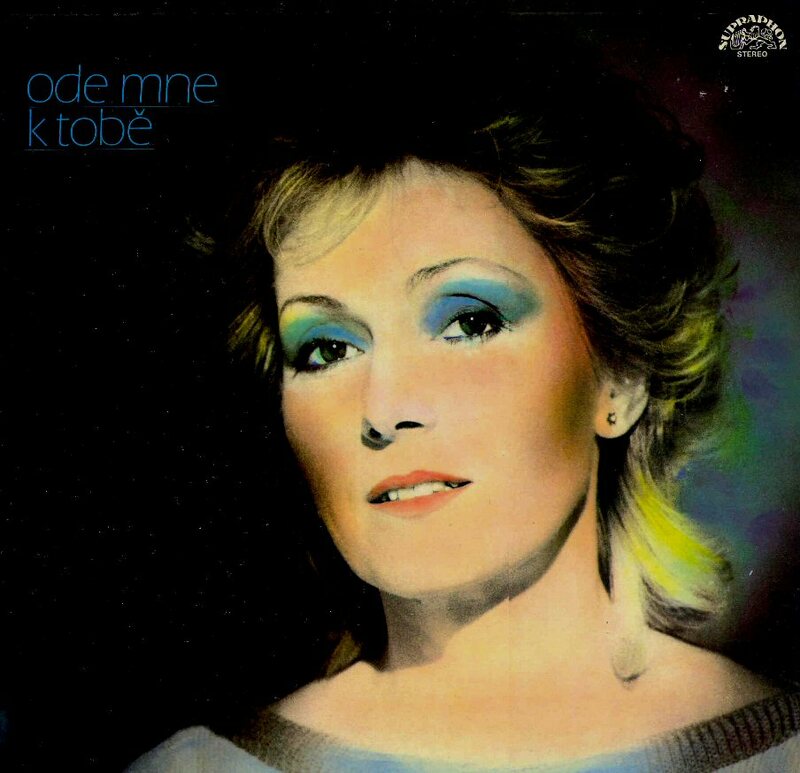 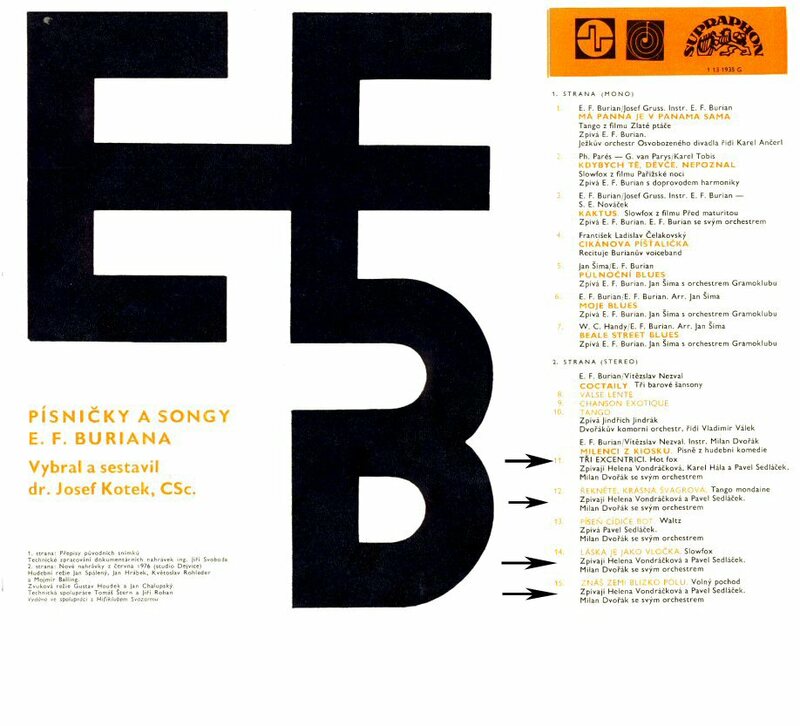 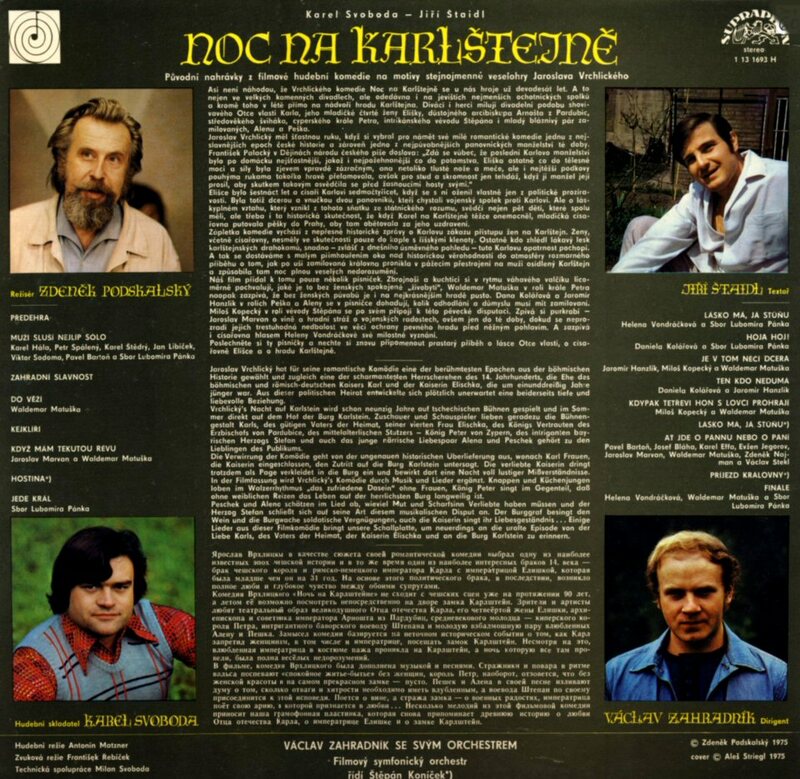 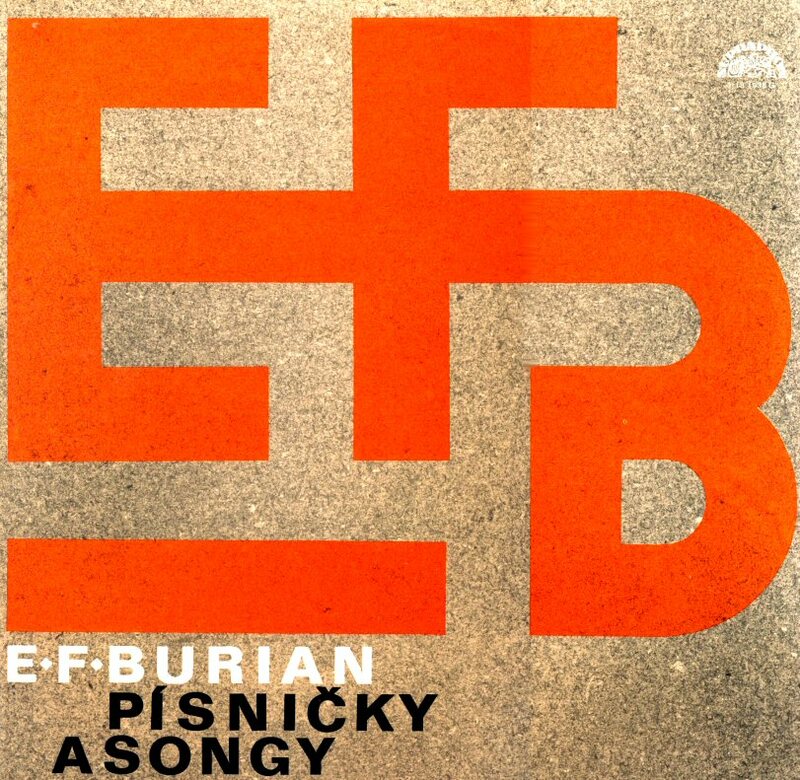 Noc na Karlstejne - film soundtrack. 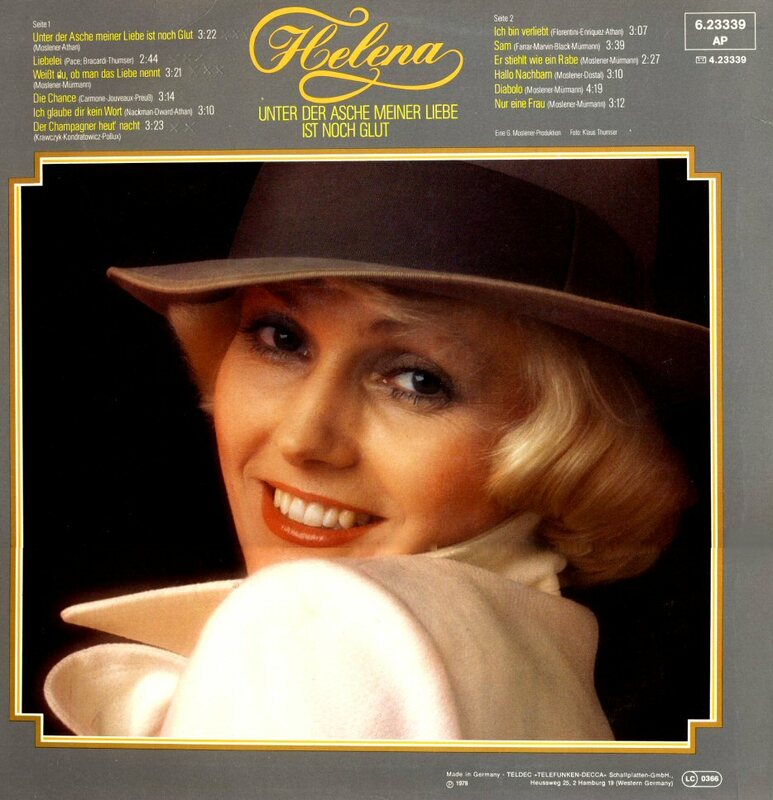 Helena sings two songs. 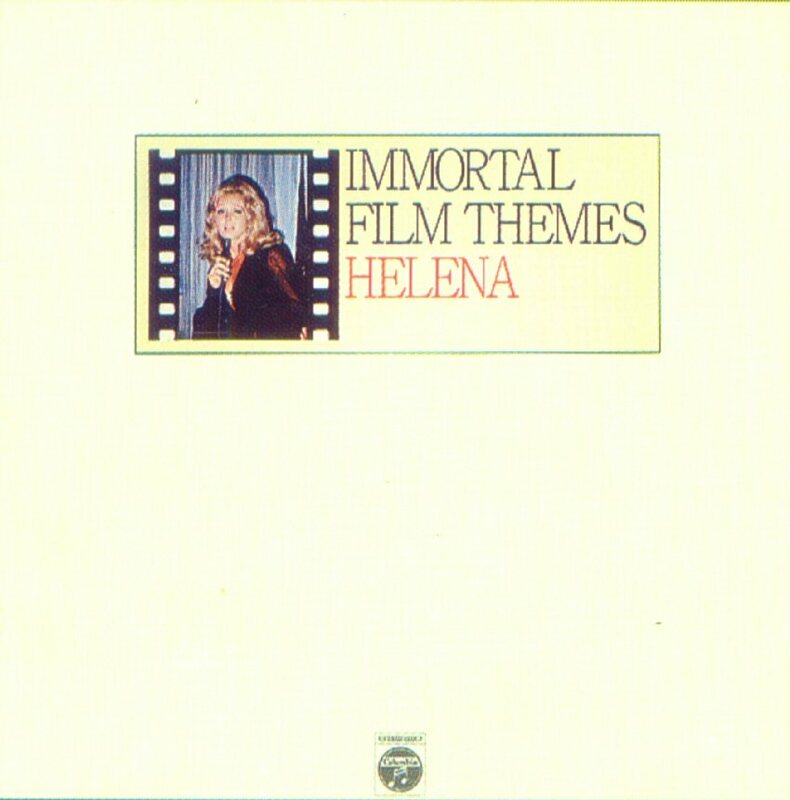 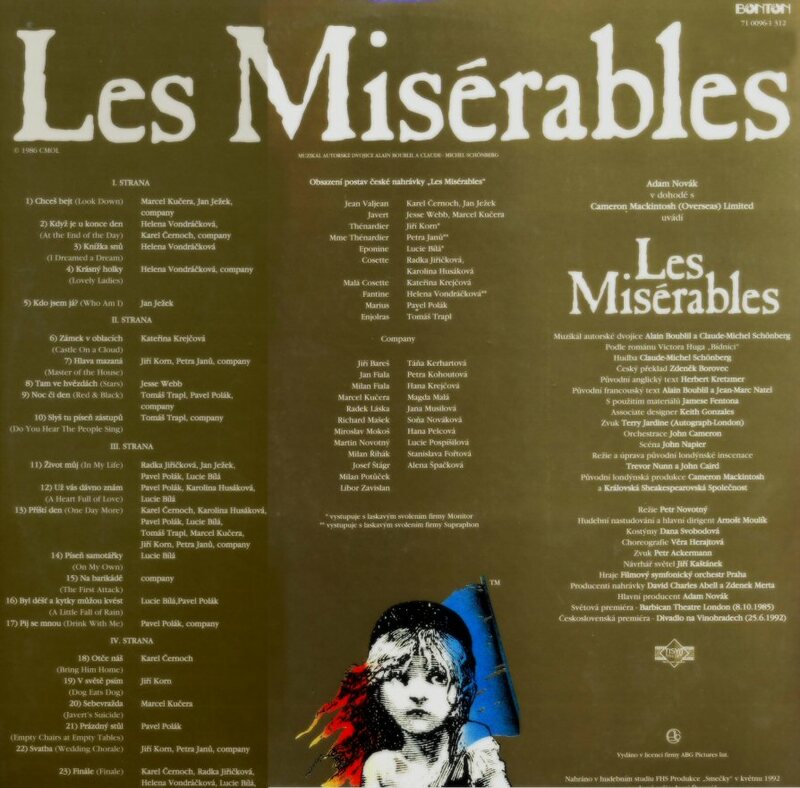 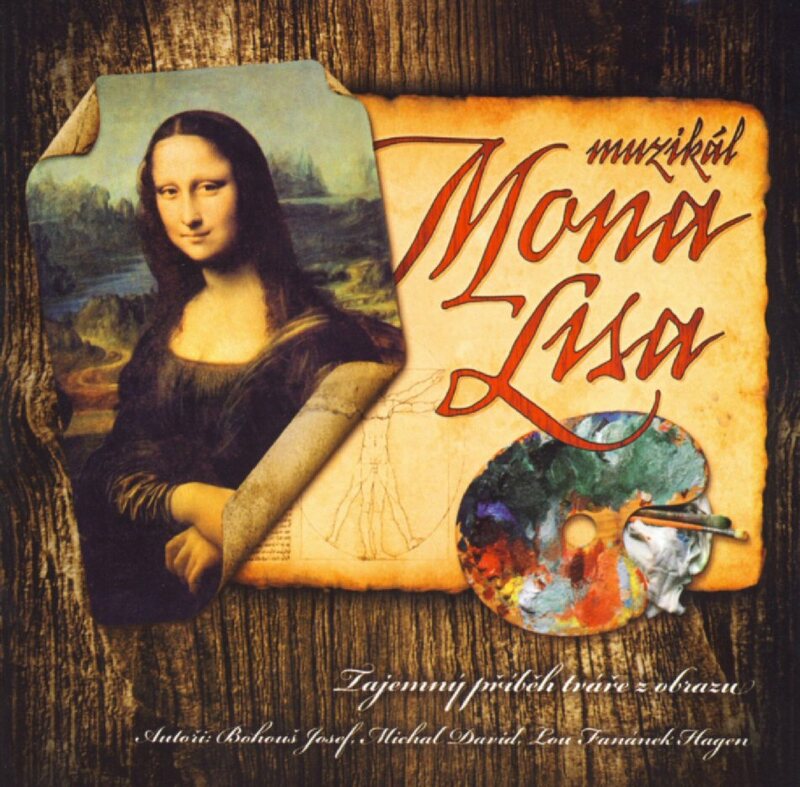 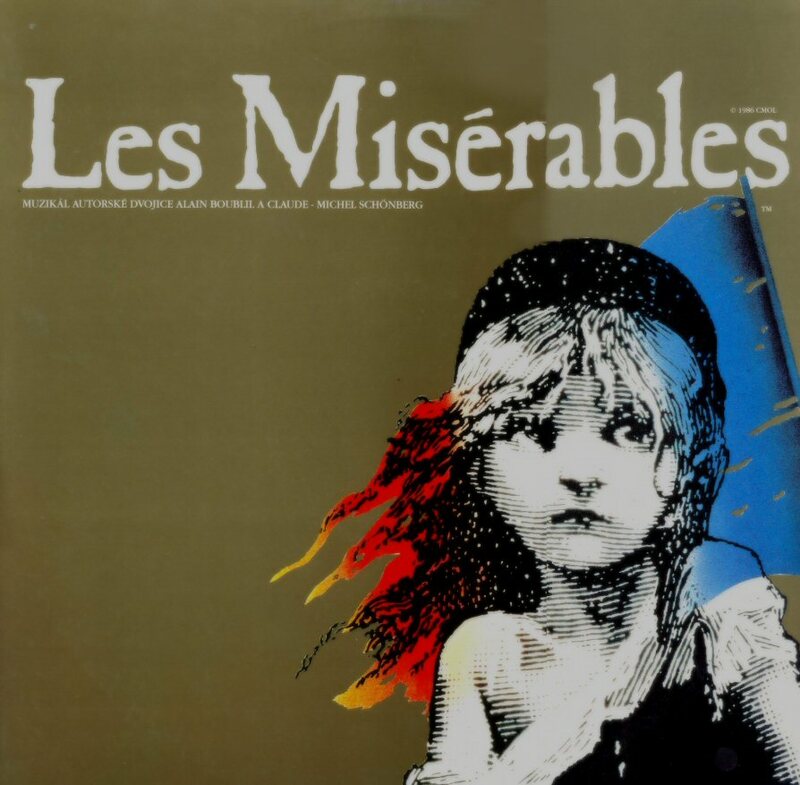 Soundtrack - Helena sings 5 songs. 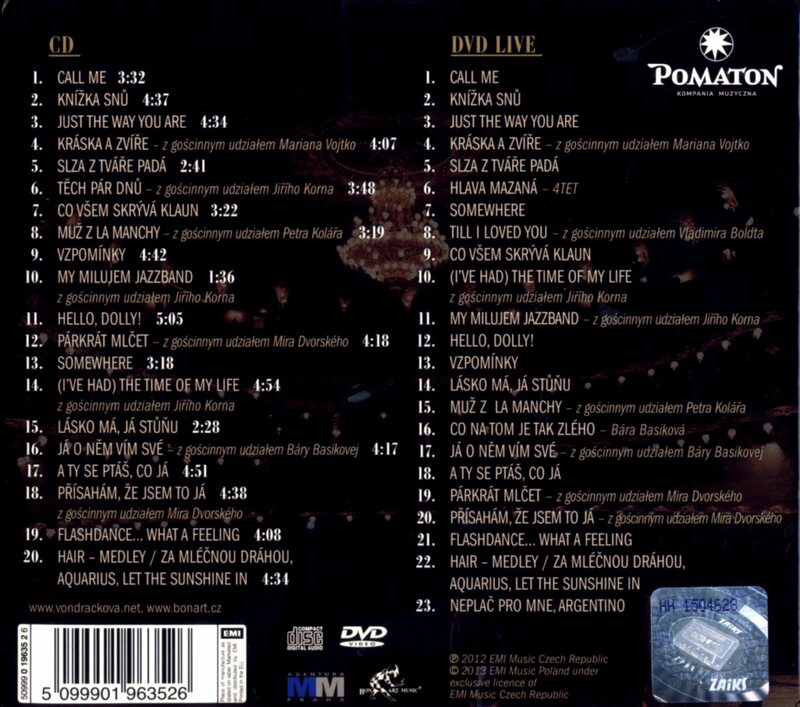 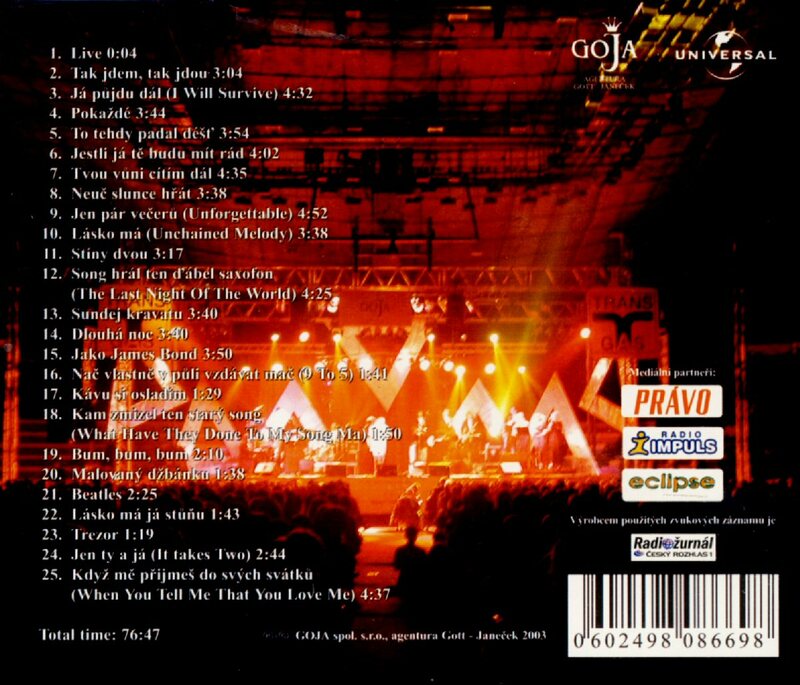 "Zastav se (... a poslouchej)" - Stop (... and listen) - release October 23rd, 2006. 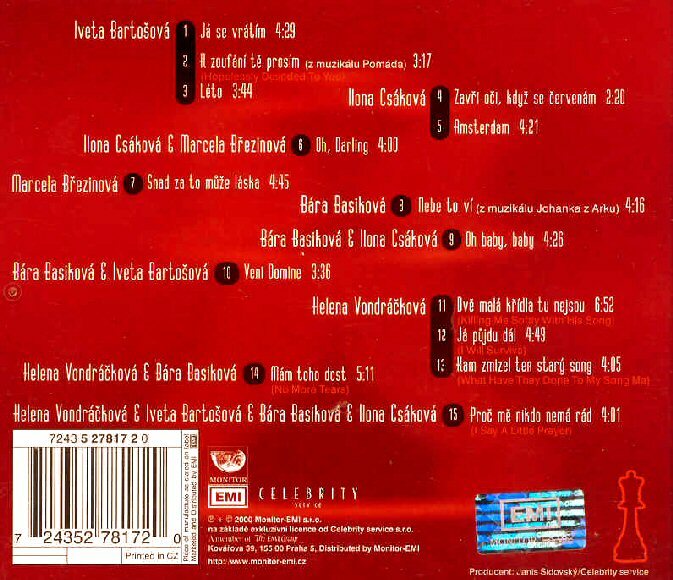 The 2007 CD maxi single released by Universal in a limited edition is the big 2007 rarity. 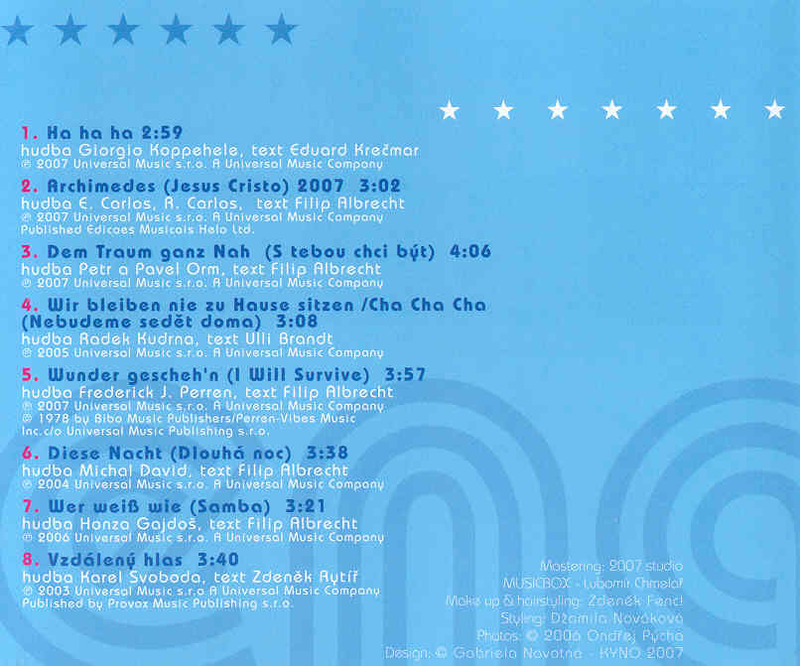 The single contains 8 songs - 6 of them sung in German. 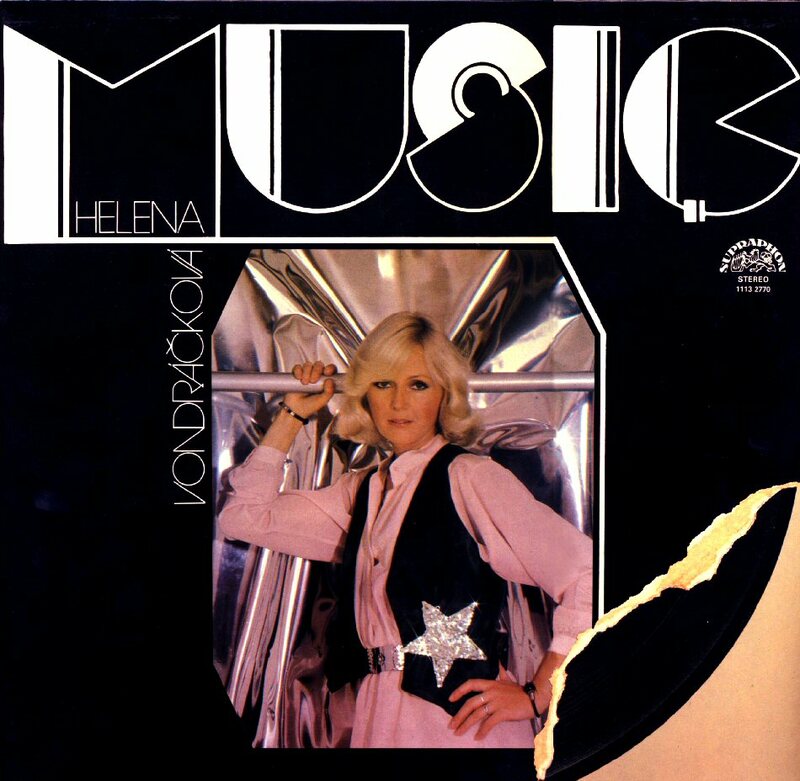 The newest Helena song "Ha ha ha" which was recorded for the Eurovision Song Contest 2007 is included as well. 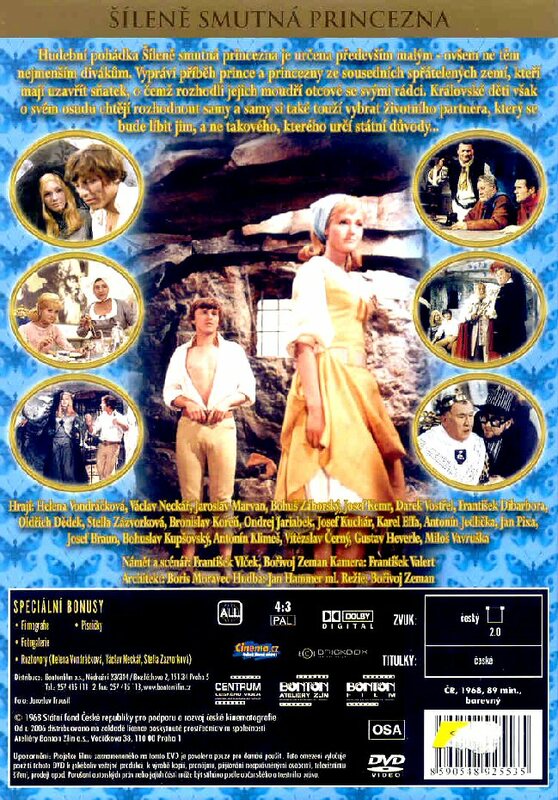 DVD (Germany) Helena's first film "A very sad princess" is now available in Germany on DVD. 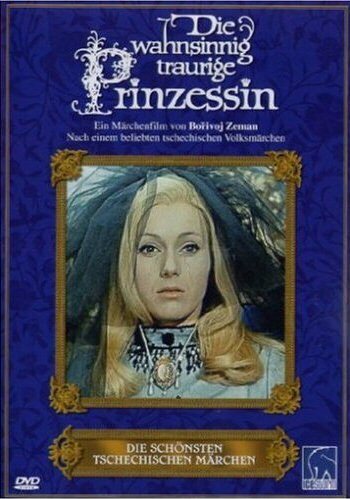 It was released with German title "Die wahnsinnig traurige Prinzessin". 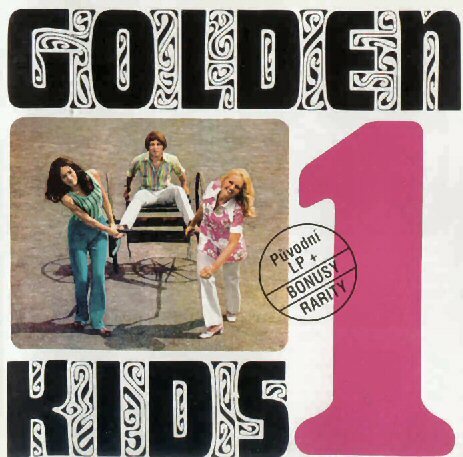 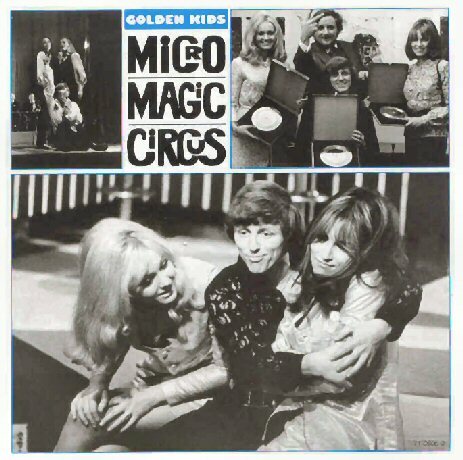 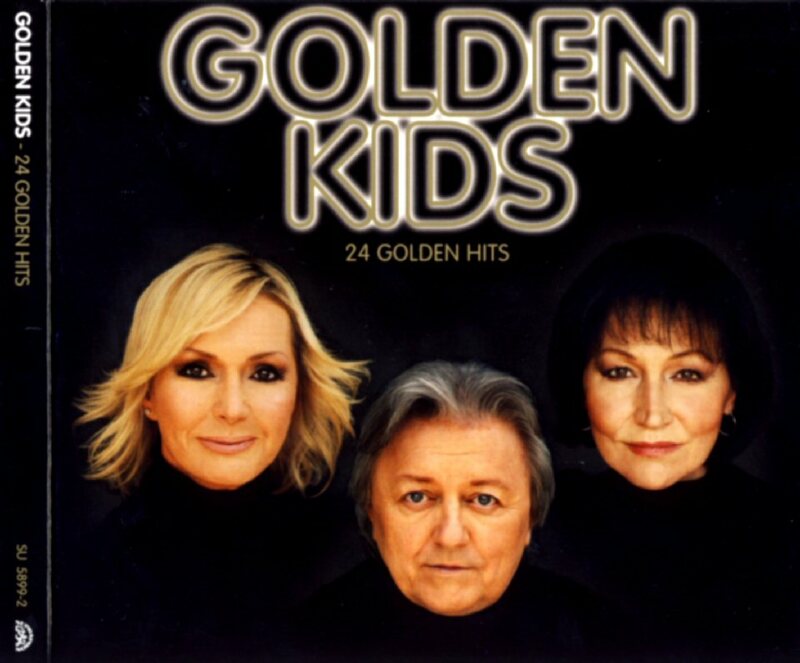 "I Am As I Am - the best of..."
24 golden hits of Golden Kids feat. 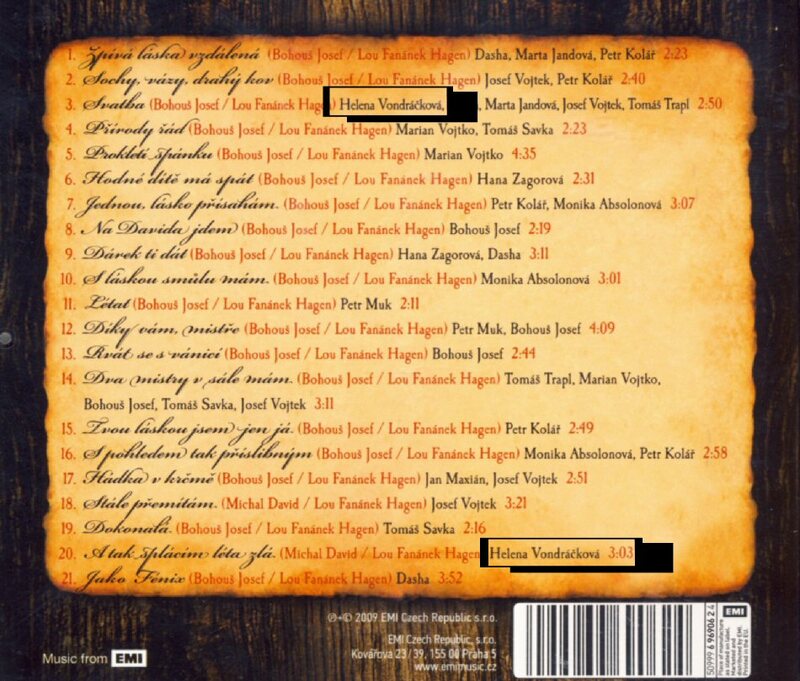 5 newly re-recorded songs. 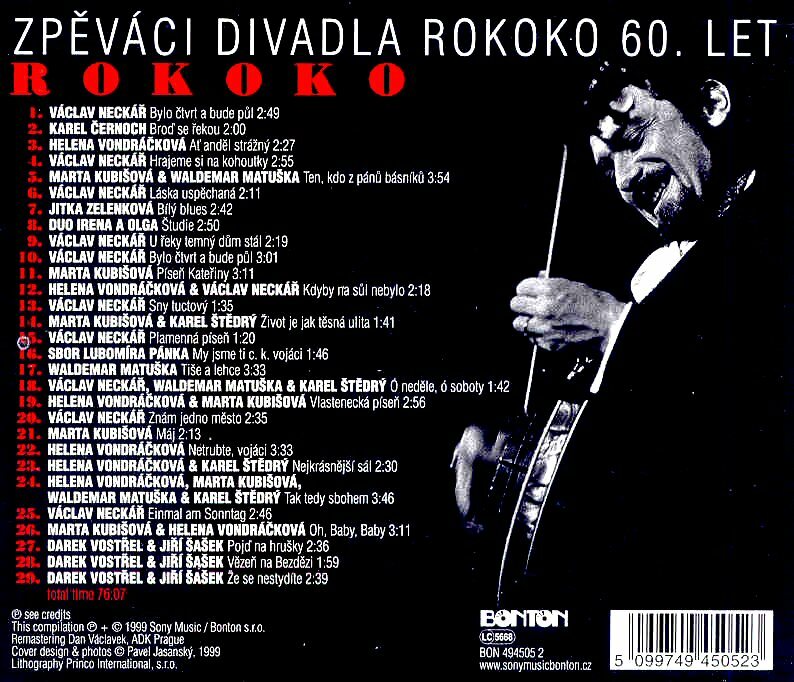 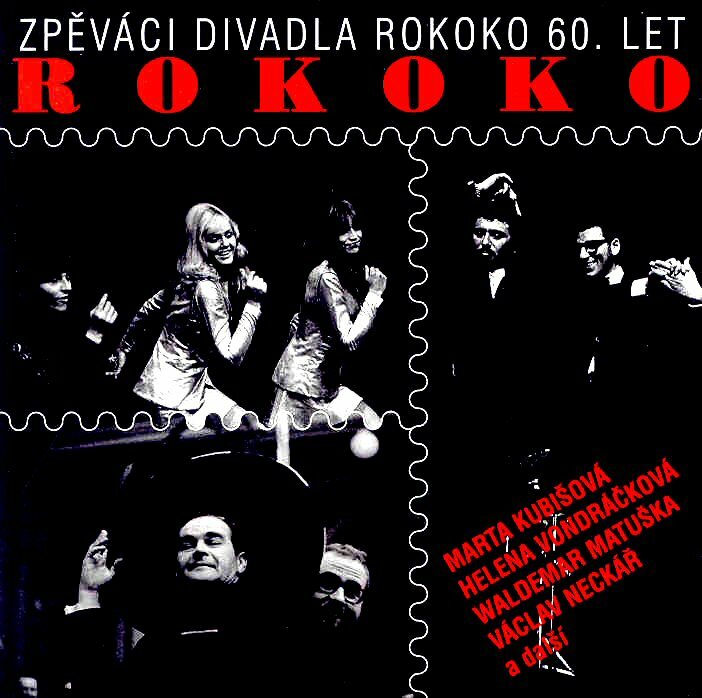 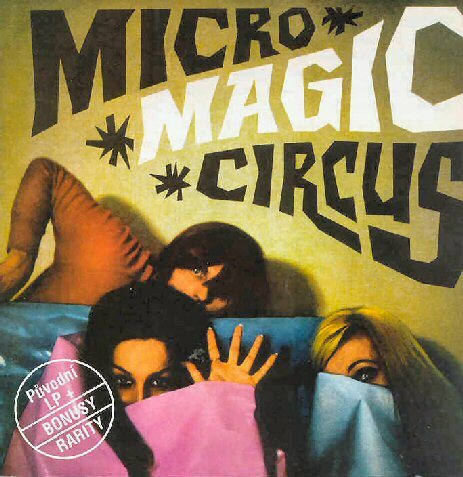 "Lunatic, who can live without love - hits and rarities"
DVD - the low-budget re-release of the 2005 TV show "Holka od cerveny reky"
The CD box with greatest hits and rarities - released in May 2009.
released on October 5th, 2012.